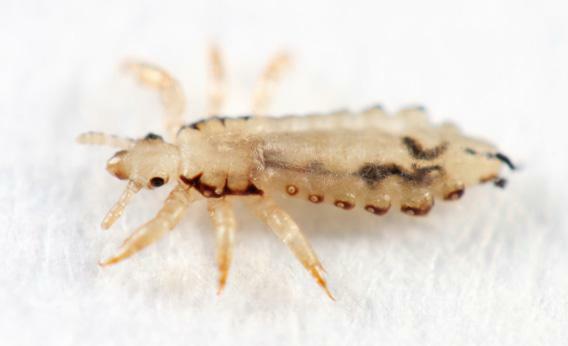 What my yearlong battle with Nix- and RID-resistant head lice taught me about the future of the American louse. Are American head lice becoming more resistant to treatment? October, 2010. My mother, at the tail end of a week babysitting my four kids, drops a text bombshell into my final kid-free airport reverie. School called kids have lice getting stuff when will you be here? One moment, my husband and I were biking in France on our first trip alone in years. The next, I was standing in the bathroom picking bugs out of our daughter’s hair while my husband sat on the lid of the toilet, our son at his knees, peering at the boy’s scalp with a headlamp. My mother had bought Nix; we diligently followed the instructions on the box. We figured that would be it. It wasn’t. A few weeks later, the lice were back and so were we, doing the same drill with a different box. October was Nix. November: Licefreeee. (Or so we thought.) December: RID and the electric “Robi” comb, which claims to “detect and destroy” lice on contact. January brought still more lice, skipping among our four children’s heads and mine like six-legged swingers, and a return to RID. In February, we tried a representative of the Lice Doctor. After March’s pulling-out-all-the-stops prescription-only malathion treatment, we were sure we had finally won, and so let our guard down in April, only to find in May that the lice had returned in full force. Decades ago, Nix and I had cleared my mom (a teacher) of an infestation in a single evening. There was only one rational conclusion to draw. These were not my mother’s lice. Today’s lice are tougher. Their exoskeletons are thicker. They hatch and mature on different schedules than they used to, wreaking havoc on established treatment directions. They have grown so resistant to Nix and RID that after only a minimum of Internet research I felt like a fool for bothering with either. Despite the increasingly desperate measures of defeated parents across the country, lice can’t be “suffocated,” either—the theory behind common home-remedy efforts to douse heads with olive oil, mayonnaise, or conditioner—but then, they never could (as rigorous testing, reported in the Journal of Pediatric Nursing, showed). As for malathion lotion, the last-ditch prescription that our pediatrician’s office gave me after a series of tearful phone calls, and then only in extremely limited quantities? The pediatrician said it would work. The box said it would work. The package insert said that after seven days, 114 of 126 people were free of lice. I was in the company of the other 12. My husband and I had shouting matches. The malathion had to work, he insisted: I still itched because it takes a while for the itching to go away. Because I had dandruff. Because I was crazy. I wasn’t crazy, though, and I had the bugs on my comb to prove it. While we attacked the lice with an old-school prescription, Lindane, that my sympathetic Peace Corps-vet pediatrician swore by, I started calling experts. Why hadn’t anything—including the malathion lotion—rid us of our scourge? John Clark, professor of Environmental Toxicology at the University of Massachusetts, knows his lice. This is a man who keeps a colony alive on what’s essentially a giant fake human head, and he wasn’t surprised by our malathion fail. Some lice have a genetic mutation that leaves them immune to malathion, he said when we chatted; in Israel, the U.K., Denmark, and for that matter pretty much everywhere outside the United States, natural selection has long since favored lice with this resistance. The malathion lotion sold in the United States is slightly different than that used in other countries, however, and so far this has proved to be a saving grace: Three of the “inactive” ingredients intended to improve the smell of the American formulation turn out to also kill lice, as does the 78 percent isopropyl alcohol that makes up the rest of the bottle. When the American malathion formulation was last tested in 2005, it proved effective against even otherwise malathion-resistant lice strains, but some experts believe that its days, too, are numbered. “When we looked at the formula,” Clark said, “it was clearly the isopropanol [another term for isopropyl alcohol] that was killing the lice. It wasn’t malathion or all these other compounds.” Ah, you say, but if isopropyl alcohol is so great, why not just pour a bottle of it over the child’s head? Here’s the problem. Any formulation that is designed to kill lice—RID, Nix, malathion, you name it—is also designed to leave a residue on hair after it’s been washed. This residue is supposed to be potent enough to kill those lice that don’t hatch until some days after the initial treatment. Isopropyl alcohol, however, doesn’t stick around. Once you wash it off, its work is through. Any surviving or newly hatched lice are left only with the malathion residue, and we’re left with the original problem: Malathion doesn’t kill all lice. In fact, I realized, I’d personally helped our household’s lice inch toward Darwinian success. By spreading the limited quantity of malathion lotion I was able to procure over five heads (in all this time, my husband never once found a louse) rather than the three heads for which it was prescribed, I probably enabled some of the hardier, more malathion-resistant lice to survive their bath in isopropanol and to pass their malathion-resistant genes on to future generations. Because a 2-ounce bottle of the stuff runs about $65—and because some pediatric nurses, including ours, won’t prescribe malathion to children under 6, whether or not your 5-year-old outweighs your 6-year-old—plenty of parents find themselves stretching a malathion supply well beyond its intended use. In truth, most of the lice treatments on the U.S. market, malathion lotion included, are relying on the efficacy of an external ingredient: you. Over the course of the year it became very clear what a “good parent” in this circumstance is supposed to do: comb. There are a finite number of lice and nits on your child’s head. With proper dedication, (examining each and every one of those hairs nightly for two weeks after the last live louse is found, in case anything new has hatched) you should be able to remove them even without any other treatment. So here’s the final flaw in the battle against our superlouse: I’m not naturally picky. I tried to comb away the bugs and nits, but I blew it. And when I admitted it, everyone from my fellow parents to the people at my kids’ schools and at the pediatrician’s office treated me like the—yes—lousy parent I’d proven myself to be. The researchers I spoke to were far more realistic, however, and in the case of one British expert, highly dismissive of this very modern-day American hover-parent approach. “Combing,” Ian Burgess, director of the Medical Entomology Center in London, said, “is just not a practical proposition.” Even in the U.K., where malathion resistance is rampant, combing alone fell so far short of malathion as an effective treatment in trials that researchers there dubbed it flat-out “inappropriate” as a recommendation. Fortunately, given that “superlice” aren’t always up against superparents, new treatments are starting to come out. Had we known better, we could have tried nonprescription LiceMD, a version of the most popular treatment in the U.K. (it kills lice Goldfinger-style by coating them in a silicone oil, which doesn’t “suffocate” them—remember, that doesn’t work—but instead prevents them from extruding bodily fluids), or Natroba, a new prescription insecticide derived from a bacteria found only on the ground of an abandoned rum distillery in the Caribbean. We didn’t know about these new options, so in the end it was more skilled combing and the Lindane that allowed us to bag our last louse. Lindane has four strikes against it: It’s a neurotoxin for people as well as lice, it’s illegal in California (outlawed on the grounds that it gets into the water supply), and, once again, many lice are resistant. It’s still unlikely a louse will be resistant to both malathion lotion and Lindane, though, which explains our success. Fortunately, my sympathy for the louse with the disrupted nervous system is limited.